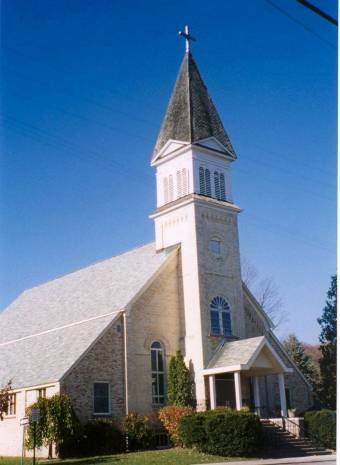 The church is located at the corner of Broadway and Elm Streets in Suttons Bay. St. Michael is a faith community in the spirit of Vatican Council II. We respect and accept people of diverse backgrounds, recognizing God's presence in all people. In living our liturgy, through community outreach and educational experiences, we strive to act consciously in the spirit of the Gospels. Going forward, empowered by the Spirit, our parish will dynamically impact those around us and the world. If you are interested in a copy of the Parish councils and commissions brochure, contact the parish office. For more info. call Jim Meyer @ 256-9571 or Gene Fontaine @ 271-3110.